This is a Battlefield-less year, at least in so much as there isn’t a new game in the franchise coming to light. Meadows and fields look folornly at the sky, just wondering when they might get an exciting fight with mechanised infantry and helicopters swooping ahead, creating divots and craters in their immaculate slopes. And while Medal of Honor: Warfighter is coming, it’s just not the same. But all hope is not lost. MP1st has spotted that Amazon Canada has listed ‘Battlefield 3 Premium Edition’, with a mysterious release date of the 15th of September. 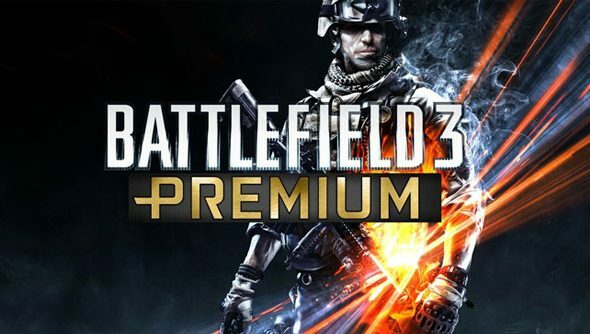 There are no other details, and there’s not even a box image, but it seems relatively safe to speculate that it might well be Battlefield 3 with all current DLC, as well as a year’s Premium membership bundled up with it. But then maybe it’s something completely different. Either way, if it’s a real thing and not just some strange listing, I’d imagine we’re going to hear something from EA during Gamscom, which starts this week. We’ll keep you posted.